Get your low cost and perfect fitted bespoke Conservatory right here! Offering a deluxe range of practical and stylish Conservatories to suit your home. With so many companies out there, choosing the perfect conservatory style, size and even supplier for your new investment can be a difficult and demanding task. However don’t worry, no one is better placed to provide the conservatory of your dreams. possible – All you have to do is decide which style of Formula One conservatory best suits your home and your lifestyle. Once you own a conservatory you’ll look back and wonder how you ever lived without one.  At Crown, we take pleasure in assisting you with your Conservatory project from start to finish, We appreciate that this is a large investment for you and choosing the right company is important, which is why we feel Crown are the company to provide you with your dream Conservatory. The Georgian Conservatory was first introduced in 18th 19th century, with its modern look along the benefits of its rectangular size providing extra furniture space. Inspired by an Gothic style architecture the Victorian is one of the most popular styles. Victorian conservatories are versatile and compliment all properly styles. With the shape of a Georgian incorporated with the bespoke gable end feature, this conservatory will take your breath away. Particularly on older properties. Combination conservatories are probably the most versatile. The most popular type of combination is the Edwardian with gable or P shape style. The Lean To or Sun room Conservatory is economic with a modern look and feel. This can also provide a greater feeling of space within.